Tune in during the day to hear the latest music, news and sports, as well as some quality entertainment. In the evening you'll hear our Specialist DJs highlighting the music and genre they love. As well as this throughout the year, we'll give you unprecedented coverage of Union Events including Varsity and Elections! 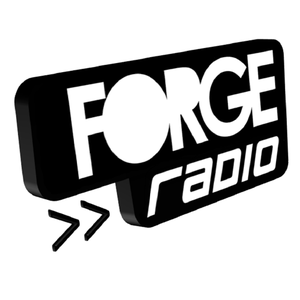 By joining Forge Radio there is literally something for everyone. Obviously if you can talk the talk and love music, you could be a presenter. However, it's not all about presenting, you could produce a show, be part of the Production Team (they make all the station branding you hear on-air), Music Committee (they create playlists), News Team (bit obvious really), Sports (again... obvious) as well as our Promotions Team and even if you're a bit of a Tech wizz, join our Tech Team to help Forge run smoothly and ensure we are always on-air. Now we know radio and broadcasting might sound a little scary, but trust us, it's really not. Plus, we'll give you all the training you need to make sure you have a great show and be in the chance of winning some great awards. Plus you'll get access to some of the greatest DJ's around, as well as the possibility to interview some of the bands you love and if that wasn't enough, you might even be able to set a new musical trend.